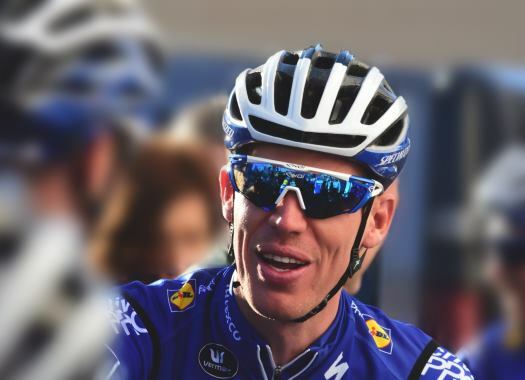 Tim Declercq joined the current Deceuninck–Quick Step team at the start of the 2017 season and has since grown to be a vital part of the Belgian formation. The 29-year-old has spent many hours pulling the peloton, helping to set up his teammates for final sprints and earning the nickname 'the Tractor' in the process. While one of the friendliest cyclists around, he should instill a certain amount of fear in his opponents. 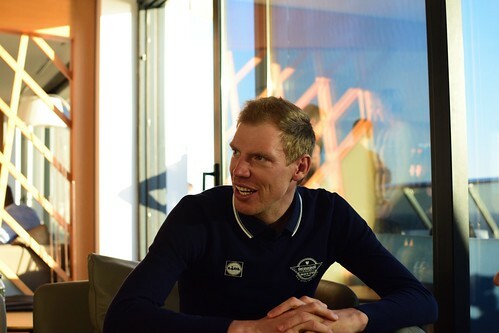 During the team's presentation in Spain, earlier this month, CyclingPub.com had the opportunity to speak with the Belgian. Does it ever happen, before or during a race, that riders of other teams come to you and basically beg you to take it easy at the front of the peloton? (Laughs) Not exactly that, but they do often comment on how fast it went, which is always nice to hear. During a stage, how do you know when to start pulling at the front of the pack? It's usually a bit of a game between the teams. No one wants to be the first one to pull. If you're first, you have to keep going until the end and others can take advantage of that. It would be a lot easier if all the teams would just have one man at the front. But it's always a poker game. So why does this tactic work so well for this team while other teams are more likely to wait? The others know that we are strong and that we usually take our responsibility, except when we feel that we're really being taken advantage of. That does come with a bit of pressure. The sprinter is also more likely to give his best in the finale, knowing that his teammates have been riding for him all day long. Other teams may want to profit from our work. That's also understandable as they're also just trying to get the win. For us it's frustrating sometimes to see them take advantage. I don't mean that in a bad way but it does make it even nicer to beat them. So it can get annoying, from time to time? Especially if you're all alone and there are four riders ahead. If you ever cycled, you know how hard it is to close a gap with four or five men by yourself. What do you think the departure of Niki Terpstra and Fernando Gaviria will mean to the team? To be honest, I think the departure of Niki will have much more influence. He was really one of the guys that carried the team and created a good ambiance. Fernando also got victories, of course, but Niki was a real pillar for the team and we will certainly miss him. I suspect that he will miss us too. Do you think it was a bad choice for him to leave? I wouldn't say that. In the end it does all make sense. We had a big problem regarding the finances. It wasn't easy to let him go and it probably wasn't his preference to leave either, but you can only be patient for so long. I think he would always have preferred this team but if the difference gets too big, it makes sense that you look for another team. But it's a shame for both parties. Where will you start your season? If it goes according to plan I will start in the Tour de Provence, then Algarve and then on to Paris-Nice. I should be in the pre-selection for the Tour de France. It would be good for me to prove that I can finish the race if I don't get sick (note: Declercq was forced to abandon the 2018 Tour after getting sick ahead of stage 16). Remco Evenepoel now joined your team. What do you think about him? He's definitely a huge talent. I also think he has the right attitude and is willing to ignore the so-called joys of life. He's very motivated. In fact, I think we might have to slow him down a bit because he's so motivated. He certainly doesn't have a lack of ambition, nor ability. He has the quality of a leader and can achieve a lot, but he has to keep learning for a few years. I think he does realize that and the future should look bright for him. Do you think you can play a role in mentoring him? I do think so, yes. I already earned my coaching diploma so I aim to guide young riders, especially helping them with the psychological aspect. I wouldn't want to come across as a know-it-all, telling people what to do, but I will be there for support.